EXCLUSIVE AT NET-A-PORTER.COM. 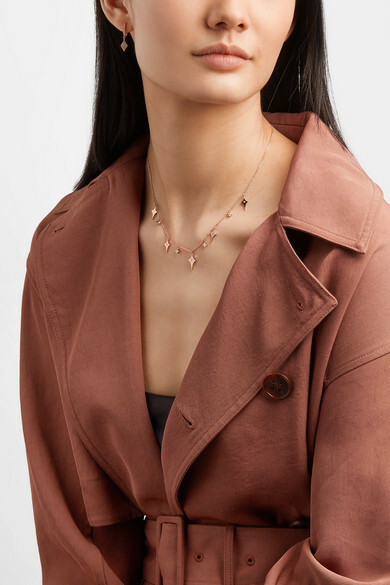 Inspired by Ancient Greek talismans, Diane Kordas' 'Shield' necklace is part of the brand's 'Armour' collection that's designed to promote strength. 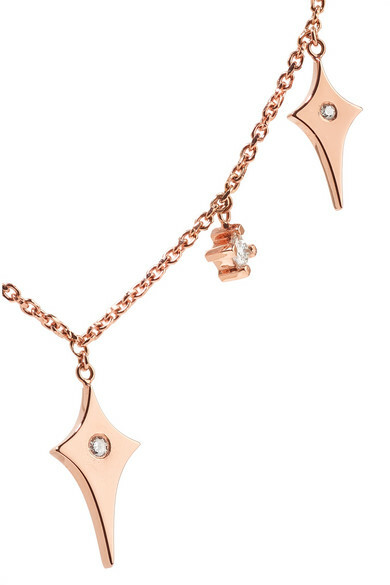 It's made from 18-karat rose gold and strung with five pendants encrusted with twinkling diamonds. 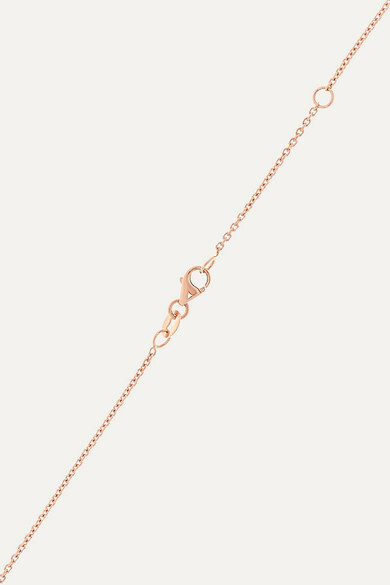 The chain can be worn at two lengths, so try yours layered with a similar style. Shown here with: Chloé Blazer, Chloé Pants, Diane Kordas Earrings, Diane Kordas Necklace.